This September, Feeding America – the nation’s leading domestic hunger relief organization – is encouraging people from all walks of life to raise awareness for hunger relief. Hunger Action Month is an effort to mobilize the public to raise awareness and take action in support of domestic hunger relief. As shown by Feeding America’s recent study, Map the Meal Gap, one in six Americans suffer from hunger. Rally for hunger relief by doing three simple tasks this September: watch, share, and act. Simply visit www.hungeractionmonth.org, and watch the celebrity public service announcement (PSA) videos. 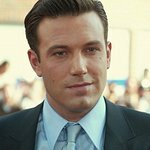 Actors Ben Affleck, Matt Damon, Taye Diggs, and Ana Ortiz have partnered with Feeding America to show that hunger is indeed closer than you think. Watch these celebrities portray an actual Feeding America client experiencing hunger. Share the videos through your social media spaces, such as Twitter, Facebook, or your personal blog. The goal is to reach 1 million people through digital platforms. Take action. By visiting www.hungeractionmonth.org, or Feeding America’s interactive map, discover hunger numbers in your area and act locally. ◦	Volunteer at your local Feeding America food bank or food pantry. ◦	Share hunger stats with your friends. Tweet, post, and blog about hunger in your area. ◦	Donate to Feeding America. $1 donated helps Feeding America provide ten pounds of food and grocery products, or the equivalent of eight meals, to someone at risk of hunger. Feeding America and its network of more than 200 food banks are participating in Hunger Action Month in many ways. To kick off Hunger Action Month on August 31, The Cheesecake Factory prepared and served lunch to more than 300 low-income individuals and families at the Maywood Activities Center in East Los Angeles. Actress Ali Landry of Hollywood Moms’ Club, Grammy Award-winning recording artist Monica, actress Eliza Dushku, and actor Wilmer Valderrama of NBC’s upcoming show Awake, all showed their support of hunger relief by serving lunch to low-income families. To learn more about Hunger Action Month, visit www.hungeractionmonth.org.